If you need a job and some help paying down your student loan debt, you might consider sending your resume to the City of Memphis. The city government has announced a new Student Loan Reduction Program that will help eligible employees reduce their student loan burden. The program goes into effect July 1, making Memphis the first city in the nation to provide this benefit, according to Tuition.io, which will administer the plan. "As the first major American city to embrace student loan assistance, Memphis is proving itself to be a leader in understanding and catering to the needs of today's workers," said Scott Thompson, CEO of Tuition.io. "Their initiation of this program should be a clarion call for other municipalities to follow suit." Student loan debt is a major workplace issue. Employees who are struggling financially, or worried about how they are going to pay their bills, are less productive. Total student loan debt in the U.S. has now reached $1.4 trillion, with student loan debt in the Tennessee city growing by nearly 5% last year. That's well ahead of the nearly 3% national average. The Memphis program is admittedly a small step. Eligible city workers will receive $50 a month from the city government to go toward principal reduction on their student loans. To be eligible, an employee must work full-time and have been on the job at least 12 months. Because student loan debt has become so pervasive, more private sector employers are considering help repaying it as a way to attract younger, well-educated employees. A recent report from outplacement firm Challenger, Gray, & Christmas found nearly 73% of the firms it surveyed either offer, or plan to offer, a student loan assistance package. "With the average student loan borrower from the class of 2016 facing about $37,172 in debt according to Forbes, - and those with advanced degrees likely have much higher debt - it’s no wonder employers have begun to see this as an opportunity to recruit young workers,” said Andrew Challenger, the firm's vice president. With Baby Boomers retiring every day, firms generally are replacing them with Millennials, who tend to have the most student loan debt. According to the Society for Human Resource Management (SHRM), some companies will pony up as much as $5,000 or $6,000 a year. 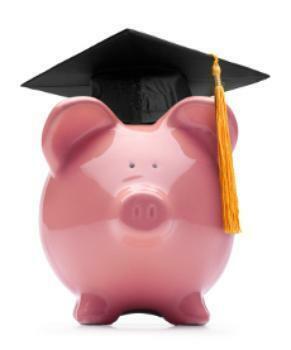 In some cases, the repayment packages are a replacement for tuition reimbursement. Some companies are offering student loan repayment in lieu of sign-on bonuses, and others offer loan repayment funds as incentives.